The Ennis House is a residential dwelling in the Los Feliz neighborhood of Los Angeles, California, United States, south of Griffith Park. The home was designed by Frank Lloyd Wright for Charles and Mabel Ennis in 1923 and was built in 1924. Following La Miniatura in Pasadena, and the Storer and Freeman Houses in the Hollywood Hills of Los Angeles, the structure is the fourth and largest of Wright's textile block designs, constructed primarily of interlocking pre-cast concrete blocks, in the northern Los Angeles area. The design is based on ancient Mayan temples, and along with other buildings by Frank Lloyd Wright, such as the A. D. German Warehouse in Wisconsin and Aline Barnsdall Hollyhock House in Hollywood, the Ennis House is sometimes referred to as an example of the Mayan Revival architecture. Its prominent detail is the relief ornamentation on its textile blocks, inspired by the symmetrical reliefs of Mayan buildings in Uxmal. The Ennis House is a designated city, state, and national landmark. It is currently owned by billionaire Ronald Burkle. 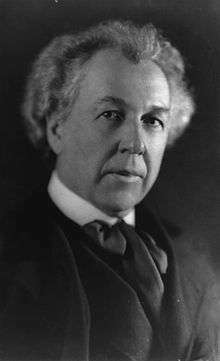 Costs escalated owing to difficulties developed during construction, which was supervised by Frank Lloyd Wright's son Lloyd Wright. The owners took over after the superstructure reached the windows and carried out various changes, deviating from Wright's original design. The house consists of two buildings, the main house and a smaller chauffeur's apartment/garage, separated by a paved courtyard. Unlike the vertical orientation of the other three block houses, the Ennis House has a long horizontal loggia spine on the northern side, connecting public and private rooms to the south, and is very large at 10,000 sq ft (930 m2). The kitchen, pantry, guest room, dining room, living room, master bathroom and bedroom, upper terrace, and second bathroom and bedroom are at the eastern and lower end of the main building. In 1940, the house was sold to media personality John Nesbitt, who had Wright add a pool on the north terrace, a billiard room on the ground floor, and a heating system. 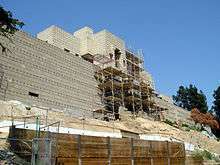 Even before its completion the Ennis House was marked by structural instability. Concrete blocks had cracked and lower sections of the walls buckled under tension. The use of decomposed granite from the site to color the textile blocks introduced natural impurities to the concrete mix, and combined with air pollution caused premature decay. Attempts to apply a protective coating caused additional problems. 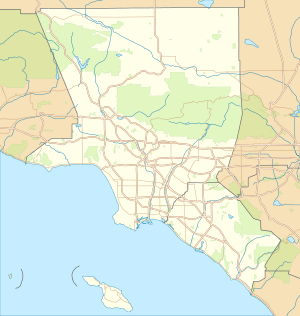 More damage occurred due to the 1994 Northridge earthquake and the record precipitation during the 2004–2005 rainy season. The Ennis House Foundation had estimated that it could cost US$5 million just for stabilization costs, and US$15 million for full restoration. After the rains the building was briefly red-tagged as "no entry" but was down graded to yellow- for limited entry by late 2005. At that point significant damage to the retaining wall at the southern rear of the building remained. In 2005 the house was added to the National Trust for Historic Preservation's list of the "11 Most Endangered Historic Places". In 2006 a Federal Emergency Management Agency (FEMA) grant was issued, as well as a US$4.5 million construction loan through First Republic Bank, which restarted restoration efforts. The project included a new structural support system, restoration or replacement of damaged blocks, restoration of windows, and a new roof. Restoration work was completed in 2007 at a cost of nearly US$6.4 million. No announcement was made regarding access by the public and the Ennis House remains closed to public visitors. On June 19, 2009 the Ennis House Foundation announced that the house was being offered for sale with an asking price of US$15 million. After being on the market for more than a year the house still had no buyer. The price was then reduced to US$7.495 million. As of April 1, 2011, the price stood at US$5.999 million. On July 15, 2011, The Ennis House Foundation announced the sale to business executive Ron Burkle for just under $4.5 million. A condition of the sale is an easement that allows public viewing 12 days per year, a condition binding on subsequent buyers. The building's exotic design made it an appealing location for Hollywood filmmakers. Although used as a shooting location as early as 1933 (Female), the house first acquired morbid fame providing the exterior facade for the House on Haunted Hill, a 1959 B movie. The 1975 film The Day of the Locust made extensive use of the house as a private residence, but it was in 1982's Blade Runner that the house gained a popularity of its own among moviegoers, even though only the main character's arrival at the motor court was actually shot at the Ennis House. Its exterior also appears as "The Mansion" occupied by Angelus, Spike, and Drusilla in the television series Buffy the Vampire Slayer. Sections of the cathedral reminiscent interior, especially the elevated dining room and fireplace, have appeared in over a dozen films including The Karate Kid Part III revealing the view of downtown Los Angeles, Black Rain, The Glimmer Man, The Replacement Killers, Rush Hour substituting for a floor of a Hong Kong skyscraper, and The Thirteenth Floor. The house has also been used as a location for commercials, fashion magazine shoots and music videos, including 3T's "Why" featuring Michael Jackson. S Club 7's video for the single "Have You Ever" shows the band members living an everyday life in the house and Ricky Martin music video song "Vuelve". Impressed by the house, filmmakers either recreated original elements of the Ennis House on sound stage sets or vaguely imitated these as in Predator 2 and several episodes of Star Trek: The Next Generation. After shooting the exterior scene on location for Blade Runner, the interior of Deckard's apartment was created at Warner Brothers. In the case of The Rocketeer, sections of the Ennis House were recreated in detail, including the patterned art glass, on a studio set. The Rocketeer went as far as adding an upper floor. On a smaller scale, tile casts of the block relief ornamentation were used for the Club Silencio doorframe in Mulholland Drive. David Lynch also used Ennis House for a segment of the show Twin Peaks. There was a show-within-a-show called Invitation to Love, and all of those scenes were shot in Ennis House. A cartoon representation is featured in South Park as the base of a Chinese gang in the episode "Wing", satirizing the popular association of the Ennis House with criminal and/or Asian characters in films. Because the house is situated in a densely populated neighborhood, tensions have arisen over the years in regard to film production crews, as well as the streams of tourists and restoration construction workers. A film documenting the house, called The Ennis House, was shot in hi definition digital 3D by film maker Tom Koester. It covers the construction (briefly), a grand tour of the house (closed to the public), and the damage stemming from the 1994 earthquake and the subsequent restoration and repair prior to the sale of the house to its current private owner. An early cut of the film premiered at the Frank Lloyd Wright Conservancy Conference in Chicago, October 2007, but has had few public showings. It is available on DVD in both 2D and 3D versions. The house was included as one of the top ten houses of all time in Los Angeles Times, in a survey of experts in December 2008, and is listed on the Department of the Interior, National Register of Historic Places, and the National Trust for Historic Preservation list of Endangered Historic Places, and is a designated California Historical Landmark, and a Los Angeles Historic-Cultural Monument. 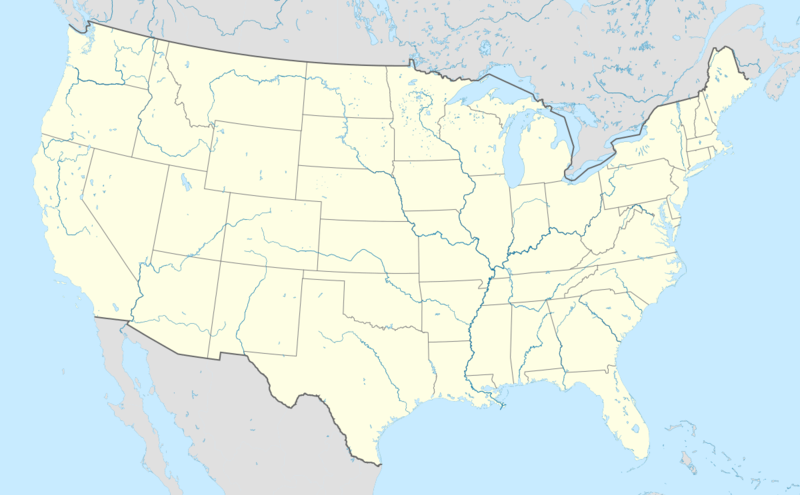 ↑ "California Historic Landmarks – Los Angeles County". 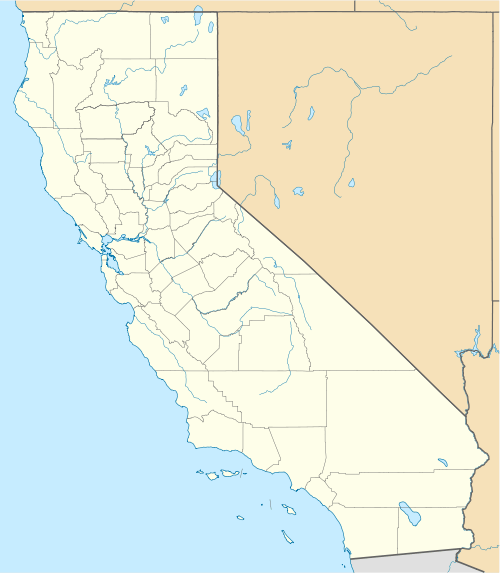 Office of Historical Preservation, California State Parks. Retrieved 2012-10-07. ↑ Department of City Planning. "Designated Historic-Cultural Monuments". City of Los Angeles. Archived from the original on 2010-06-09. Retrieved 2010-06-15. ↑ "The top houses from the movies". Daily Telegraph. London. 2 May 2012. ↑ "L.A. at Home". Los Angeles Times. 16 July 2011. ↑ Sarah Heffern (31 July 2009). 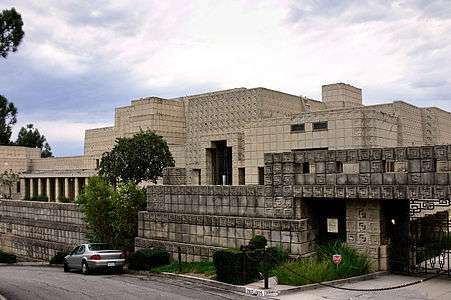 "LA's Once-Endangered Ennis House Stabilized, on the Market". National Trust for Historic Preservation. Archived from the original on 2010-03-04. Retrieved 2010-05-07. ↑ Jim Demeo; Linda Dishman (30 July 2009). "For Sale: Frank Lloyd Wright 'Trophy House' In L.A.". Morning Edition (audio/transcript). Interview with Karen Grigsby Bates. NPR. Retrieved 8 November 2010. ↑ Frank Lloyd Wright's Textile Houses, Arch Daily, 14 September 2010. ↑ Adrian Glick Kudler (April 1, 2011). "Situation With Frank Lloyd Wright's Ennis House Getting Depressing". Curbed LA. Retrieved 15 August 2012. ↑ "Frank Lloyd Wright's Ennis House Sold to Ron Burkle". Ennis House Foundation. 15 July 2011. ↑ Nakano, Craig (17 July 2011). "Famed Ennis House is sold". Los Angeles Times. Retrieved 2 September 2015. Frank Lloyd Wright's Ennis House, the 1924 hilltop mansion that is one of the master's most celebrated residential designs and one of Los Angeles' most revered architectural landmarks, has sold to billionaire Ron Burkle for about $4.5 million, 70% less than its original asking price. Ennis House Foundation Chairwoman Marla Felber confirmed on Saturday the exact price: $4,458,084.58, which represents the organization's balance on a construction loan taken out to repair L.A.'s most prestigious fixer. ↑ Gerry Kissell (5 November 2000). "The Ennis-Brown House". BladeZone. Retrieved 15 August 2012. ↑ Sean Mitchell (December 27, 2008). "The Best Houses of All Time in L.A.". The Los Angeles Times. Retrieved 2008-12-27. Wikimedia Commons has media related to Ennis House.